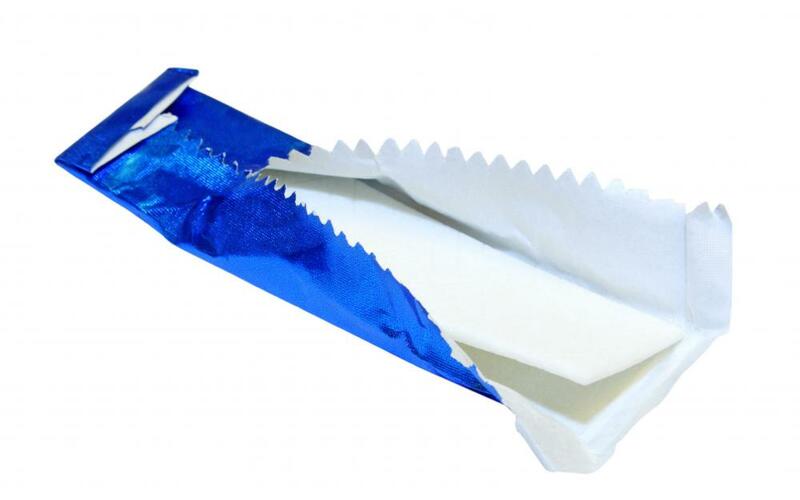 A rabbinincal organization must examine gum production facilities before gum can be certified as kosher. 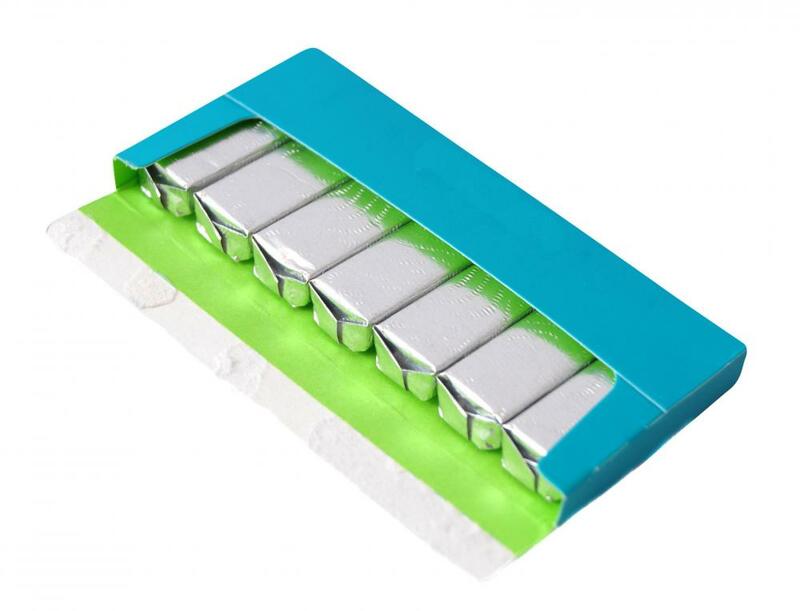 A pack of kosher chewing gum. Kosher gum meets the dietary requirements of Judaism. Kosher gum is chewing gum that has been made in accordance with the traditional dietary laws of Judaism, or kashrut laws, and so is acceptable for consumption by Jews who observe those laws. This entails following certain restrictions concerning what the gum is made with and its production process. A number of companies produce kosher gum today. Chewing gum is was originally made from chicle, a latex derived from the manilkara chicle tree that grows in Mexico and Central America, though most gum today is made from synthetic rubber. These are combined with other chemicals such as plasticizers, which increase the gum's plasticity and so make it more suitable for chewing, and emulsifiers, which help hold the gum together. This base is then combined with sugar and other ingredients to produce the final product. To be considered kosher gum, a chewing gum cannot contain any ingredients derived from animals regarded as unclean in Judaism, such as pigs. A common way in which gum can run afoul of kashrut law involves the emulsifiers and plasticizers used to create the original base, which frequently contain animal fats. Other ingredients, such as flavorings, are subject to the same restrictions in order to be acceptable kosher gum ingredients. Additionally, substances that are not forbidden in themselves may still fail to be kosher based on the details of their production. An otherwise kosher food or food ingredients is not kosher if it is processed with equipment that is also used for non-kosher foods, unless the equipment has been cleaned in accordance with kosher standards first. Fat from a kosher animal such as a cow or sheep is not kosher if it is processed on machinery that is also used for meat from pigs, for example. To have gum certified as kosher, the producer contacts a rabbinical organization whose religious authority is widely respected in order to have its product and production facilities examined. If the product is certified as kosher, the producer can then place the religious organization's certification mark, called a hechsher, on the gum's packaging. In the United States, kosher certification is most commonly given by the Union of Orthodox Jewish Congregations of America, whose hescher is a capital U in a circle. It should be noted that while there is a general consensus among Jewish religious authorities on what is and is not kosher, there is no universal worldwide authority. 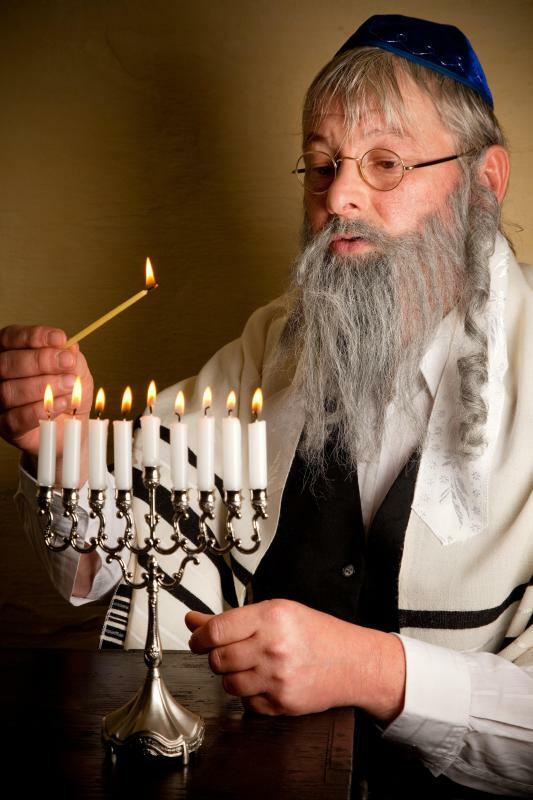 Different Jewish religious organizations can differ on certain details, and so in some cases gum that has been accepted as kosher by one group may not be kosher by the standards of other groups. Once a product is certified as kosher, a representative of the certifying organization called a mashgiach, or supervisor, is appointed to actually oversee operations on-site to make sure that the organization's standards are upheld. In some cases, the rabbis responsible for making the final judgment on whether a food is considered kosher also act as mashgiach, though a mashgiach need not be a rabbi. He or she must, however, be an observant Jew who is knowledgeable about Jewish dietary law. What Are the Best Tips for Creating a Kosher Food Menu? What Is a Kosher Pastry? What are the Different Types of Kosher Food?